The Bill on Amendments to the State Pension Insurance Act and the Funded Pensions Act (79 SE), initiated by the Government, which increases the base amount of the pension and amends the procedure for the indexation of pensions, was passed with 89 votes in favour (1 vote against). This is going to bring an increase of pensions as of April next year in a greater amount than before. The Act brings national law into conformity with the European Union legislation regulating the transfer of pension rights, makes amendments to the Acts currently in force, and gives the provision delegating authority to the Government for the establishing of a Regulation for the purpose of providing the specific technical procedure for the transfer of pension rights. Also, a competent authority, the Social Insurance Board, is provided, which ensures national implementation and organisation of the regulation established by European Union legislation. The Act enables the transfer of the financial resources corresponding to pension rights in the case of both pillar I and pillar II pensions. 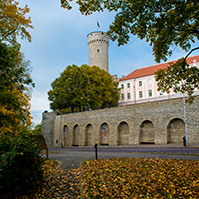 The Bill on Amendments to the Police Act, the Aliens Act, the Obligation to Leave and Prohibition on Entry Act and the Identity Documents Act (75 SE), initiated by the Government, which creates a legal basis for Estonia’s accession to the Schengen Information System, was passed with 89 votes in favour. Through the latter, the agencies appointed by the participants shall obtain, via automated search process, information concerning the border control of persons and objects, or border and customs control carried out according to national law. The system also enables the exchange information concerning aliens on whom the prohibition on entry has been imposed. In addition, the Act introduces the concept of “danger” in order to provide a uniform definition of the concept and prevent too wide interpretation. The Bill on Amendments to the Aliens Act (99 SE), initiated by the Government, transposing the directives which facilitate the migration of students and scientists from third states and establish common standards for applying for a residence permit in Member States, was passed with 85 votes in favour. The Act reduces the risks connected with illegal immigration. The Act provides the requirement for sufficient proficiency in the language of instruction for foreign students. The Act authorises the Minister of Education and Research to establish a Regulation which provides the conditions and procedure for certification of sufficient proficiency in the language of instruction. The Environmental Responsibility Act Bill (77 SE), initiated by the Government, which provides the regulation for the prevention of and compensation for damage to the environment, and guarantees the restoration or repair of damaged environment by the person who caused the damage, was passed with 85 votes in favour. The Act ensures actual compensation for damage caused to the environment. The implementation of the Act motivates environmentally sustainable behaviour and encourages undertakings to invest in environment-friendly technology. The purpose of the Bill on Amendments to the Electronic Communications Act and Public Health Act (62 SE), initiated by the Government, is to specify three concepts in the Electronic Communications Act, to bring Estonian law into complete conformity with the European Union law as concerns the obligations established for undertakings with significant market power, and to specify and amend the regulation concerning access and interconnection, and line facilities. The Bill provides correct legal regulation for the coordination of frequency licences with the Health Protection Inspectorate and regulates the processing of frequency and numbering licences in the register of economic activities. Also, certain requirements of confidentiality and provisions concerning terms are specified, the co-operation of the Communications Board and the Statistical Office is regulated, the norms relating to number portability are specified, a provision delegating authority for establishing of a Regulation of the Minister Economic Affairs and Communications is added, two provisions delegating authority are repealed and five new necessary elements of a misdemeanour are provided by the Bill. The Bill on Amendments to the Roads Act and the Railways Act (91 SE) specifies the concept of road management, road works, as well as local roads, and introduces the necessary amendments to the other sections of the Act. The Bill specifies the obligations of the undertakings performing owner supervision and state construction supervision of road works, and the requirements for the issuing of construction permits for road works. The Act makes amendments to the provisions of the Roads Act and the Railways Act which specify the maintenance works of level crossings. The purpose of the Bill on Amendments to the Weapons Act, the Planning Act and the Rescue Act (101 SE), initiated by the Government, is to specify the provisions which regulate issues concerning the Defence Forces training areas. Changes are made to the concept of the Defence Forces training area, the provisions concerning the establishing of a training area and the regulations of the requirements set for training areas. The Weapons Act is amended and a provision on the establishing of firing ranges is added. The Bill on Amendments to the Defence Forces Service Act (124 SE), initiated by the Government, prescribes a possibility of extending the time of service of persons who have passed the age limit but who are needed in positions in the Defence Forces, provided that the persons comply with the requirements for service set out in the Defence Forces Service Act. The Bill on Amendments to the Commercial Code and Associated Acts (102 SE), initiated by the Government, transposes a directive simplifying the cross-border merging process of various types of limited liability companies regulated under the national legislation of parties to the European Economic Area. The Directive sets out general requirements for common merger agreements, the publication thereof, merger reports drawn up by the management bodies of companies, independent expert reports and certain aspects of approval of merger agreements. It also contains requirements for documents certifying completion of merger proceeding which are going to be invested with cross-border certification power. The Bill on Amendments to Acts related to the Notaries Information System and Legal Registries (105 SE), initiated by the Government, creates a general legal basis for the implementation of the notaries’ information system e-notary and the realisation of digital information exchange between the e-notary and state data bases (thus far, the use of the e-notary has only been regulated at the level of a Regulation). 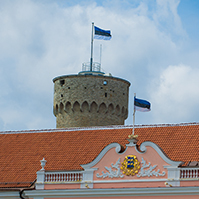 The use of the e-notary is a big step forward towards rise in the quality of the work and services of notaries and the development of the information communication technology of the public sector of Estonia. 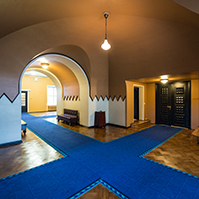 The Bill on Amendments to the State Borders Act, the Obligation to Leave and Prohibition on Entry Act and the Riigi Teataja Act (117 SE), initiated by the Government of the Republic, harmonises Estonian Acts with the rules and regulations established in the European Union common visa area, which give Estonia the opportunity to participate in the European Union common visa area as a full-fledged member pursuant to the Schengen Convention. This ensures free movement of persons which means in practice that border control is not carried out on the internal borders of the states which are parties to the Convention. 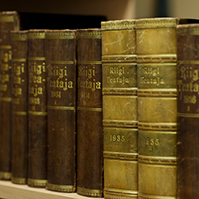 Draft Resolution of the Riigikogu “Extension of the Time Limit of the Use of the Estonian Defence Forces in Performance of International Duties of the Estonian State under the International Security Assistance Mission in Kuwait, Qatar, Bahrain and Iraq” (144 OE), submitted by the Government. 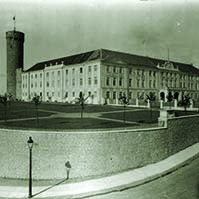 The Estonian Centre Party Faction moved to reject the Bill at the first reading. The result of voting: 33 votes in favour, 51 votes against, 3 abstentions. The motion was not supported. The Bill remained in the legislative proceeding. 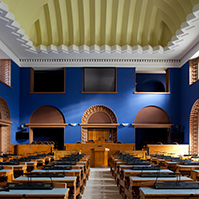 On the motion of the Social Affairs Committee, the Bill on Amendments to § 12 of the State Pension Insurance Act (81 SE), initiated by the Estonian People’s Union Faction, which was intended for improving of the future economic situation of insured persons who receive average wages, by equalisation of the insurance coefficient with the value of 1.0, was rejected at the first reading. The result of voting: 43 votes in favour, 34 votes against, 3 abstentions. At Question Time, the Minister of Social Affairs Maret Maripuu answered questions about the salaries of medical staff, the school allowance of children of foster families, health care investments and subsistence of the elderly. The Minister of Finance Ivari Padar answered questions about the implementation of the statistics of resource consumption in economy, the supporting of public transport, inflation, and the supporting of local governments. The Minister of Defence Jaak Aaviksoo answered questions about the equipment and missions of the Defence Forces. The sitting ended at 8.39 p.m.